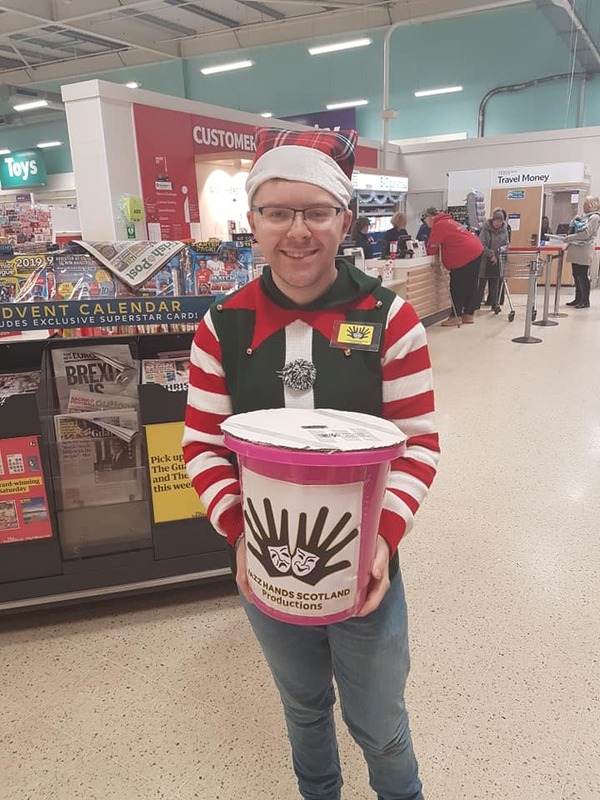 On Monday 17th December Andrew M and Samantha R attended TESCO in Rutherglen to raise money in aid of Jazz Hands Scotland Productions. They packed peoples shopping at the tills between 4pm and 8pm. 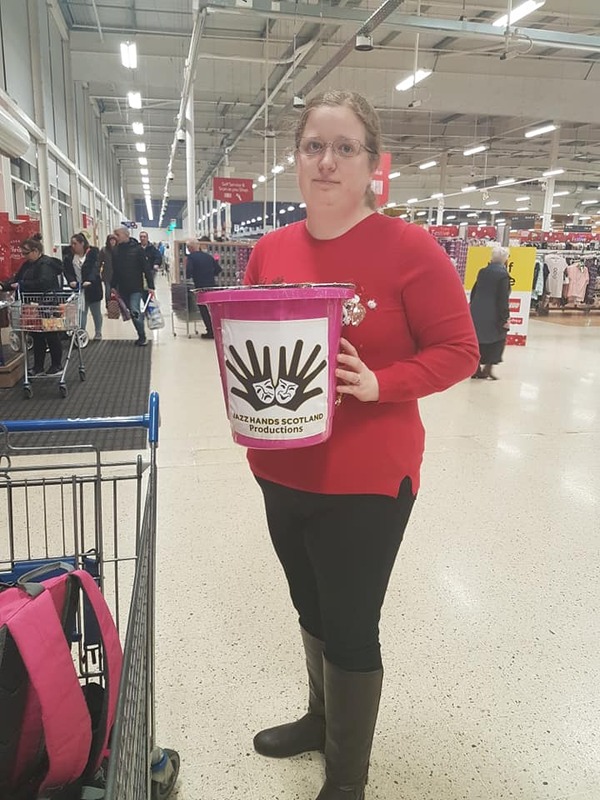 Thank you to the generosity of the customers who donated when using our tills. We raised £114.89 towards our group. Money will be used towards the running costs of our Theatre Group. 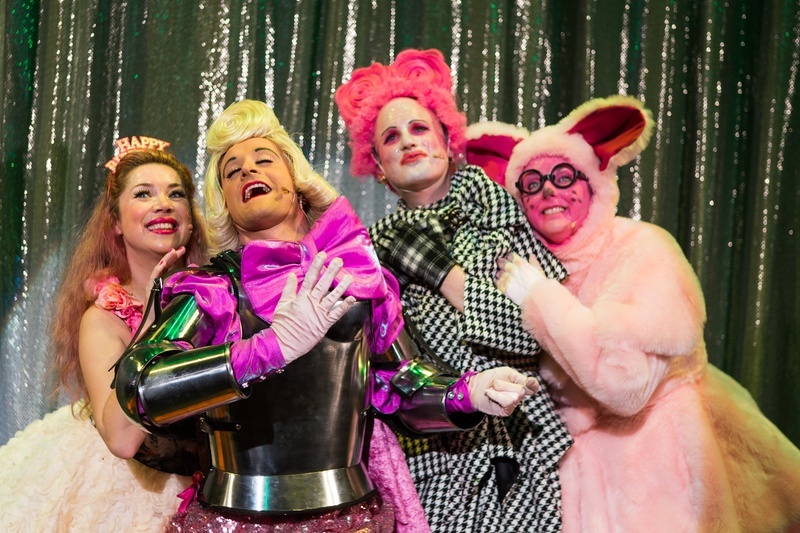 Alice in Weegieland is written by the talented Johnny McKnight and is brought to life with new and past favourite Tron Pantomime stars. Darren Brownlie (Actor and Dancer) and Julie Nimmo – best known for her role in the Cbeebies show Balamory) and making his pantomime debut, Scott Fletcher whom made a name for himself in Gary Tank Commander and River City. They are also joined by a few other talented actors. “Alice in Weegieland” is not your traditional fairy-tale but in fact a Pantomime and there’s not a white rabbit in sight!.... this adventure takes you to Weggieland aka Glasgow.... where Alice, a want to be dancer, joined by a Glaswegian Rat make their way through Weegieland, ‘Alice is bored! All this talk of Brexit, Trump and yet another series of Celebrity Big Brother is beyond depressing. And then if things weren't bad enough she has her ballet exam today and can't remember the difference between good toes and naughty toes! Alice decides to skip the exam and follow a mysterious man speaking an incomprehensible language (that's the Glesga-banter tae you and me) down a rabbit hole and finds herself awakening in….. Weegieland. Alice meets an array of characters, be sure to look out for Darren Brownlie Villainous character, (Dame) Queen of Hearts with a pair of legs that many a woman would die to have. He was scary and funny all in one and is also a great dancer. Special mention goes to the lovely audience who cheered and booed throughout the show and also to the children in the front seats who danced and cheered loudly. You could see on the actors faces that they loved seeing the kids enjoying themselves. This Panto runs until 7th January and I would encourage everyone to go along and watch the show. Not many tickets left. We have just #donated to Macrobert Arts Centre Christmas Appeal 2016 to let 2 people attend the Christmas Pantomime Weans in the Wood. Why not donate today and let someone enjoy the Pantomime. The Snaw Queen is a Pantomime Written and directed by and featuring Johnny McKnight. He is joined by a team of talented actors who play various roles throughout the show from talking flowers to the queen and princess of Patrick. This show is based on the story of the Snow Queen written by Hans Christian Andersen. Did you know Rudolph is from Ireland? Well his accent is a dead giveaway. His voice reminded me of Daniel O’Donnell. 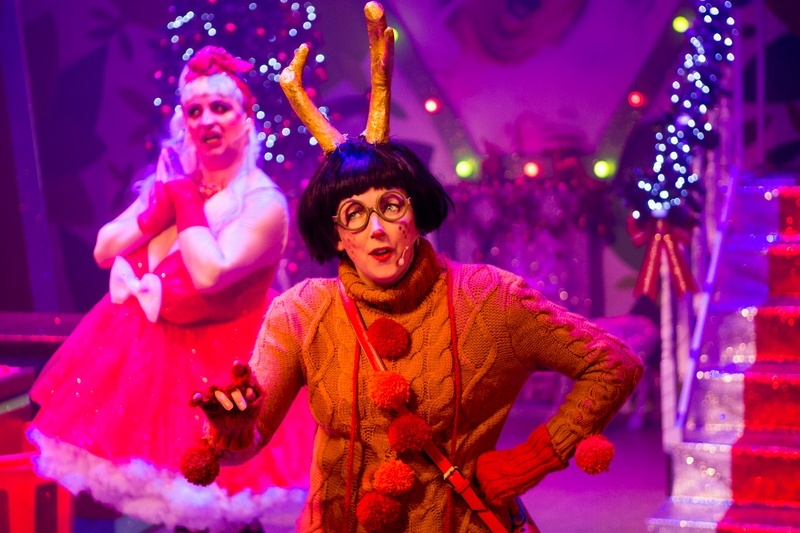 Rudolph is played by Darren Brownlie who is a regular member of the Tron Pantomime team. Darren also plays the Snaw Queen an evil woman who wants to get rid of Santa. Olive the other reindeer makes an appearance in this show and helps Santa on their journey. She is played by Julie Wilson Nimmo. Her character reminded me of Olive from on the busses with the way she was dressed and had glasses on. Julie played this character very well. I also loved Percy the Penguin, Elvis and also Elvira the elf. The set was well used and I particularly loved how they had a song all about the Glasgow Underground and also had some scenes based inside one of the underground trains. There are plenty of funny and lovely moments throughout this show and would recommend this show for all the family. Get your tickets while you can from the Tron Theatre Box office today. A Belter of a Cinderella Story is a Pantomime by Paul Harper Swan and is being performed at the Websters Theatre in Glasgow from 3rd Dec 2015 until 3rd Jan 2016. A belter of a Cinderella Story tells the classic story of a girl named Cinderella but this time with a modern Twist. The pantomime has only one set and each scene is helped along by diffrent forms of lighting. It also has wonderful and charming Glaswegian banter and local refrances throughout. I loved each character and their costumes where fitting for the part they where playing. 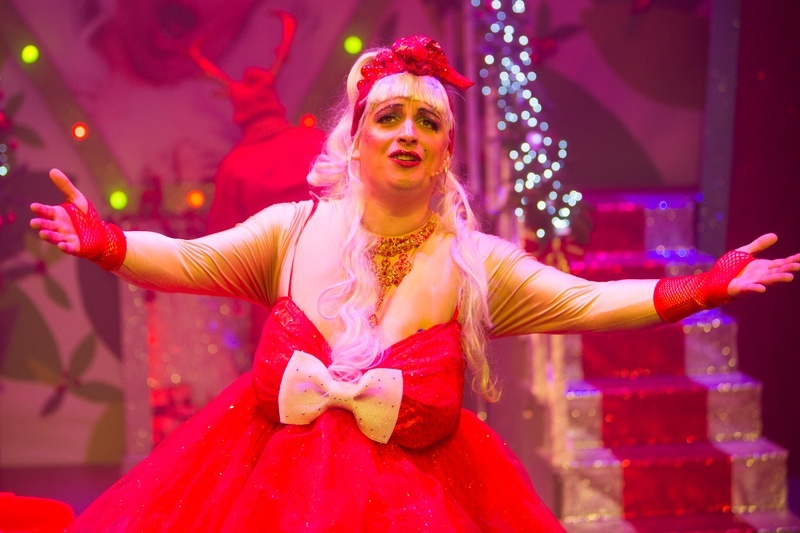 Their was no dame as such in this show but special menction to Jamie McKillop who played fairy G just like a panto dame with jokes, audience interaction and more. I would rate this show 5 out of 5 stars and would recommend it for all the family to go and see this christmas time. This is one show I would come back to see again. Sleeping Betty is a pantomine by David Ireland and is being performed at the Tron Theatre in Glasgow from Fri 27 Nov 15 until Sun 3 Jan 16. I attended the Panto on press night on Tuesday 1st of December. 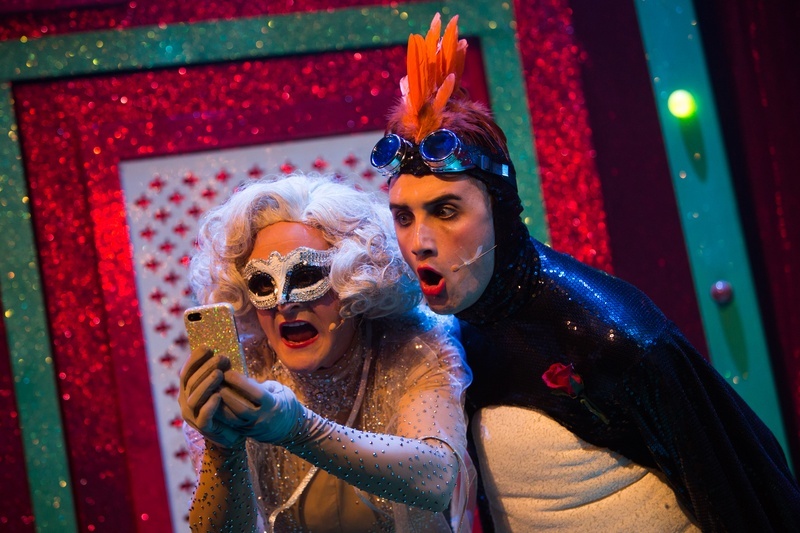 Sleeping Betty brings a modern twist to the classis story with some extra characters.The cast of 6 brings many characters to life on stage from a farting hamster to a red leather and high heels cat. This pantomime script was lacking the usual Tron Theatre spirit and Glasweigian charm and local referances that is common with a Johnny McKnight panto (Other Tron panto writer). The only local referance in the show was to the Tron Theatre Cafe. The music in the show was plesent to listen to and well done to the musicians who played the keyboard and guitars. Overall I would rate this show 3 out of 5 stars and is one panto I would not rush back to see. I am already really excited about the 2016 panto Snaw Queen by Johnny McKnight. Jazz Hands Scotland is delighted to be working in Partnership with Scottish Community Arts to bring together the Falkirk Halloween Festival. Thanks goes to Nextbike for letting me take part in the festival and ride one of there great bikes.